People change their names for a variety of reasons such as divorce, marriage or an unpleasant-sounding given name. Before changing your name, think carefully about the effect your name change might have on your professional reputation and personal relationships. Once your name is changed, you will no longer be able to use your old name in government and legal documents and will permanently be known by your new name. If you have a well-established career and change your name, you may struggle to be recognized for your achievements, particularly if you have a substantial presence on the Internet or in publications. If, however, you are just beginning your career and don't like your name, now may be the time to change it. Some studies indicate that people with strange or very ethnic-sounding names may have more difficulty getting job interviews. Marriage and divorce are among the most common reasons people change their names, and with good reason. Sharing the same name as your spouse may help you feel more like a unit. However, changing your name to a different last name from your children may cause them some stress. Some women find themselves feeling resentful they give up their names in marriage but their spouses did not. Men are, in increasing numbers, opting to change their last names to their wives' last names when they get married. This is often a statement about the importance of egalitarianism and problematic nature of gender roles, but may cause strong criticism from friends and colleagues. Other people opt to change their names to reflect a new religious or ethnic identity. This can help people form unity and solidarity with a new community, but can also create some confusion around your identity. Some names are a recipe for teasing and bullying, and many people opt to change these names when they enter adulthood. Other people may change their names to convey a message. For example, a woman might change her name to "Peace Love." These name changes carry the same benefits and drawbacks of other name changes and you should consider whether the new identity is worth the potential loss of a good reputation that went with the old identity. Some people, however, change their names after a major life change and these people may welcome the opportunity to abandon their old identities. There are some legal considerations to take into account when changing your name. You may have difficulty accessing bank records under your old name so make sure you take your name change paperwork with you to the bank and other financial institutions and change your name with these companies. 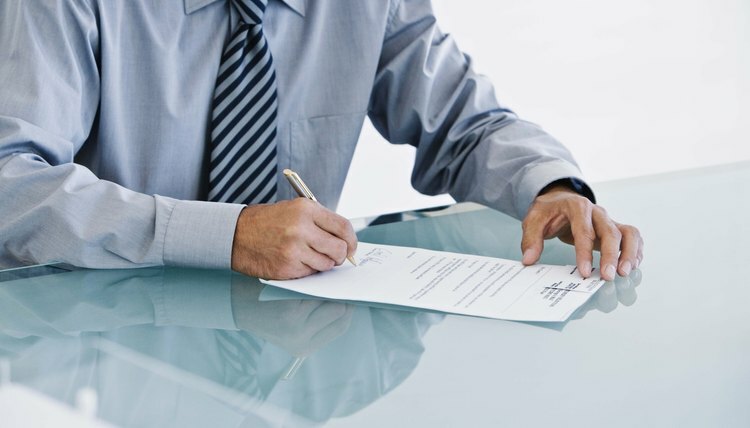 A name change will not get you out of a contract, but may require you to provide documentation of the name change if you ever need to enforce the terms of the contract. Name changes also do not get you out of legal trouble or help you evade prosecution. A name change does not give you a new identity or clean record and attempting a name change to avoid prosecution may cause you further legal trouble. Do You Legally Have to Get a New SS Card When You Get Married? ABC News: Can a 'Black' Name Affect Job Prospects? Can a Power of Attorney Have a Debit Card? A power of attorney is a legal document you can create to name another person to act in your place. Powers of attorney are both helpful and dangerous, depending on the integrity of the person named as your agent. A general power of attorney confers broad powers, including the right to access bank accounts with debit cards.